Antique store owner Alice Chapman thinks she is headed to meet her fiancé’s family and spend the holidays, but a mix up at the airport lands her at the wrong home. And when unexpected romance comes calling as Christmas approaches, Alice must decide if her “Merry Mix-Up” will actually turn out to be her destiny. Love, love, love this movie!!! I just ordered it from Amazon! Can’t wait to receive it!! Between “A Snow Globe Christmas” and “A Very Merry Mix-Up,” I have high hopes for Alicia’s next Christmas movie, “Christmas at Cartwright’s” (originally titled “Holiday Help”). She seems to pick good movies — or they pick her. One or the other! This is great news (the DVD release)! 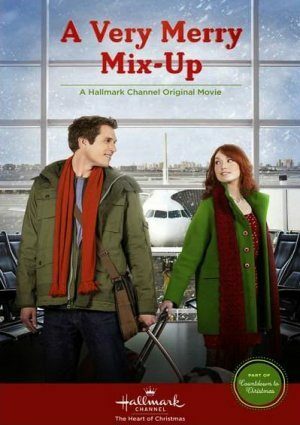 “A Very Merry Mix-Up” was absolutely one of my favorites from last year (out of a particularly strong group of new movies from Hallmark, I thought) and I would love to get the DVD. I tell myself that if I get the DVD I can remove this movie from my DVR and free up space for something else (maybe one of the new 2014 movies?? ), but, in reality, I will probably leave it on the DVR anyway! Lol. It’s good to have the DVD as a back-up, though. I would like to buy it for my wife but I guess it’s not coming out on DVD. I wonder if and when Hallmark will show it again on TV? New DVD releases from Hallmark usually come out around October. So it may still come out this year. Hallmark will begin airing Christmas movies again on TV on October 31st. Thanks-I did find it for sale here but it says DVDR and it sounds like it may be a poorly made bootleg so I’m holding off on it. I want A Very Merry Mix Up on dvd too. I LOVE Christmas movies. When is it coming out so we can buy it? I want to buy a DVD of the movie a very merry mix-up. My wife and I want to put this movie in our favorite movie collection. I know it’s not on DVD now, but will it ever get on DVD?